Insurers warn that very often, Indians fail to get available vaccines before travelling – and may find their policy doesn't pay if they fall ill. If a vaccine is recommended for your chosen destination don’t hesitate, as if you don’t get the required vaccines and fall ill as a result you could find your claim invalidated. Find out what vaccinations you need by heading to Harvey Speciality Clinics. We will review your travel plans, current travel conditions, advice for your destination. We will assess the potential health risks, the need forspecial vaciines, immunizations or medications, and the general medical and safety concerns specifically for you. 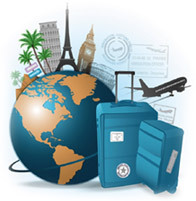 We offer latest information on the immunizations and medications recommended for your destinations, including alerts issued by international governmental agencies such as the Centers for Disease Control and Prevention, and the World Health Organization. Studies show that if you visit a travel health expert before international travel, you are seven times less likely to get sick on your trip. We offer all travel-related and routine vaccinations at Harvey Speciality Clinics, your specific needs will determine your requirements. We can administer the vaccine and provide required travel documentation, if needed. Othe vaccines that may be required or recommended include routine flu vaccination, if you will be in enclosures such as travelling by cruise ship, group travels... where flu epidemics, food poisoning.. can occur. If food safety is a concern, Hepatitis A vaccine may be recommended. Depending upon the country, it may also be wise to be vaccinated against diseases such as typhoid. 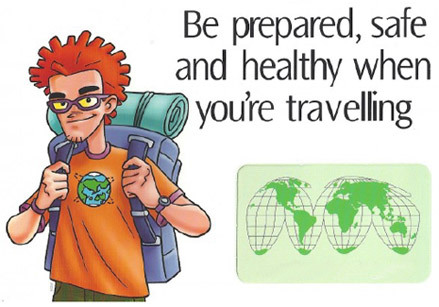 To stay healthy while travelling abroad, you will also need to be up-to-date on childhood vaccinations such as polio and Diptheria / Pertussis / Tetanus (DPT), as these illnesses are still thriving in many parts of the world. While most adults have no problems with receiving multiple vaccines at once, a qualified doctor may tailor the requirements for certain pregnant women, elderly travellers (above 55 years old) and immuno-compromised patients. The focus is on your personal protection and special needs. If you are travelling to one of the many tropical or subtropical countries where mosquito borne diseases are prevalent, we shall provide necessary medication, education and recommendations on avoiding insect-borne illness. To prevent gastrointestinal disorders from ruining your trip, we offer education and advice on avoiding food borne illness, and may recommend anti-diarrhea & oral rehydration medications. We also provide anti allergic medications depending on your needs. Based on your travel plans, we may urge precautions with water and food, and recommend careful attention to hygiene to ensure that you enjoy your trip safely. Protection against sexually transmitted diseases, which are commonly associated with travel, remains important wherever you go. Other precautions depend upon climate and activity. Planning to soak up the sun in the beaches of Bali, trek through the Amazon, do business in China, go on a safari in Kenya, tour through Australia or some where exotic? Make Harvey Speciality Clinics as your first travel destination! Travelling abroad increases your risk of acquiring diseases that you would not normally encounter at home. If you are among the increasing number of people travelling to remote exotic destinations your risk of exposure to exotic diseases is even higher. We can provide you with peace of mind whether you're doing business, enjoying leisurely travel with family or watching cricket matches abroad! A visit to Harvey Speciality Clinics will help to minimize health risks during your trip, whether you are travelling for business ot taking family & friends for a much awaited vacation. A pre-travel risk assessment is especially recommended. Are chronically ill, have a problem such as diabetes, heart disease, high blood pressure & chronic lung disease. Will be travelling or living overseas for an extended period of time, such as students, parents visiting their family. © 2017 Harvey Clinics. All rights reserved.